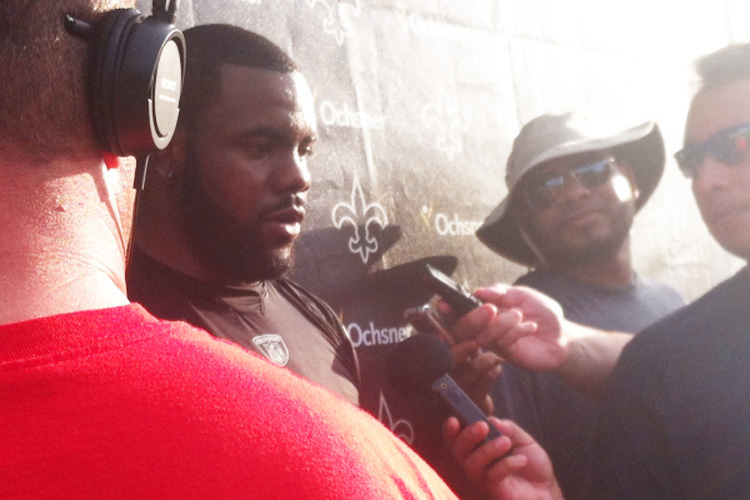 The epic sheet has been adjusted to account for the suspension of Mark Ingram, which his agent is sure to claim was for “Adderall.” It made for a significant change in structure at the very top of the sheet. RosterWatch Nation, Version 5.5 of our newest premium product, the 2018 RosterWatch Best Ball Cheat Sheet for the new MFL10s on Fanball and Best-Ball Fast and Slow Drafts at Draft.com is now available in the Downloads section. The simple rules for using the sheet of paper to dominate your best-ball draft are the same three rules you have followed in redraft and dynasty leagues using the tool for years with a few minor caveats detailing how many players to take at each position. Basically, rules so simple, a toddler could follow them. 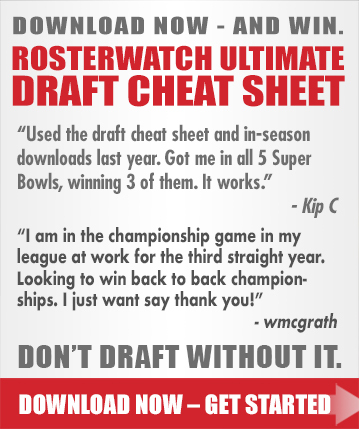 Keep checking back to RosterWatch.com to make sure you have the latest version of the Best Ball Cheat Sheet before drafting, as things can and will change (sometimes drastically) through the spring as ADPs shift and as we gather more of our industry-leading intelligence on the 2018 class. Click here to go to the downloads section and get v5.5 of the RosterWatch Best Ball Cheat Sheet. I want to say thank you, I made a trade in Dynasty a little over a month ago. I gave M Ingram & J Williams for Mike Evans and his 2nd round pick. I turned the draft to pick D Guice at 1.3 and Anthony Miller at 2.2 and C Kirk at 2.3. Now with the hearing of Ingram suspended for the 1st 4 games, I feel I got exactly what we at RosterWatch Nation preach buy low sell high. You won the trade with out the Ingram news and what a rookie draft haul!!! Trey Burton fall off of the BB sheet? He shouldn’t have. I’ll check to see if he was accidentally deleted, but if so it was a mistake. I accidentally deleted him when creating the tier with him and Kittle, it’s been fixed, thx for the heads up. He’s an important guy to have on there. Don’t know how it happened. Is there a Dynasty Cheatsheet coming out? Also, in a 16 team dynasty the premium changing on QB how much would that adjust their rankings on the cheatsheet? Thanks. A rookie sheet or a dynasty start up sheet? we haven’t made a startup sheet previously but, since it seems demand continues to kick up for one, I’ll bring it up in our next development meeting. As of now, if you have a draft today, just use the BB cheat sheet and make small adjustments for age and projected continuity of situation. Not until August for start up. If not I’ll just tweak the reg. cheatsheet. What’s been your BB experience with TEs? I seem to be getting mostly TEs in the ASJ-OJ Howard bracket (or lower) and, at that, having to reach for them in the 13-15 rounds. For the most part, the top 10 go thru the first 8 rounds, with the next ten going thru round 13. Any thoughts on strategy?